Fall Classic fever is running high here at All Things Go. 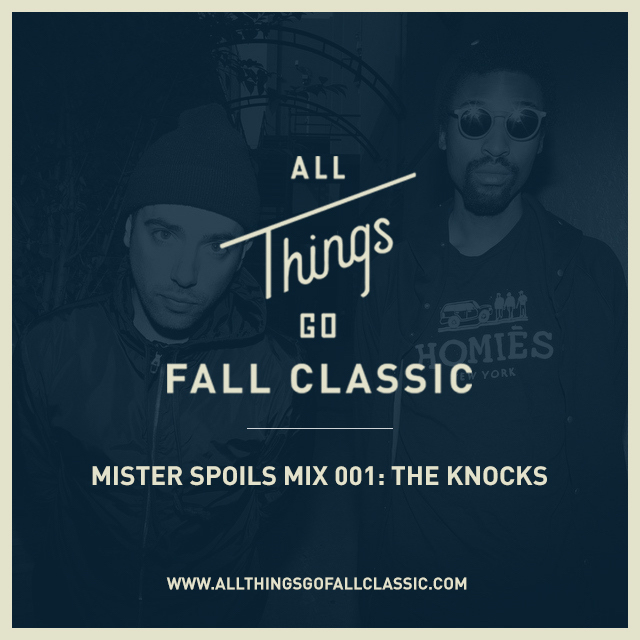 To get you all in the mood for the festival, Mister Spoils and The Knocks have curated a mix of some awesome tracks that are sure to get you in the Fall Classic mood. Give it a spin below and, if you haven’t already, get your tickets for the All Things Go Fall Classic via the link below. Also make sure to follow Mister Spoils on Instagram, Facebook, Twitter and, most importantly, their newsletter.